Thank you to GEB reader ‘ecksemmess’ for letting us know that Kyrgyzstan has just received Street View. 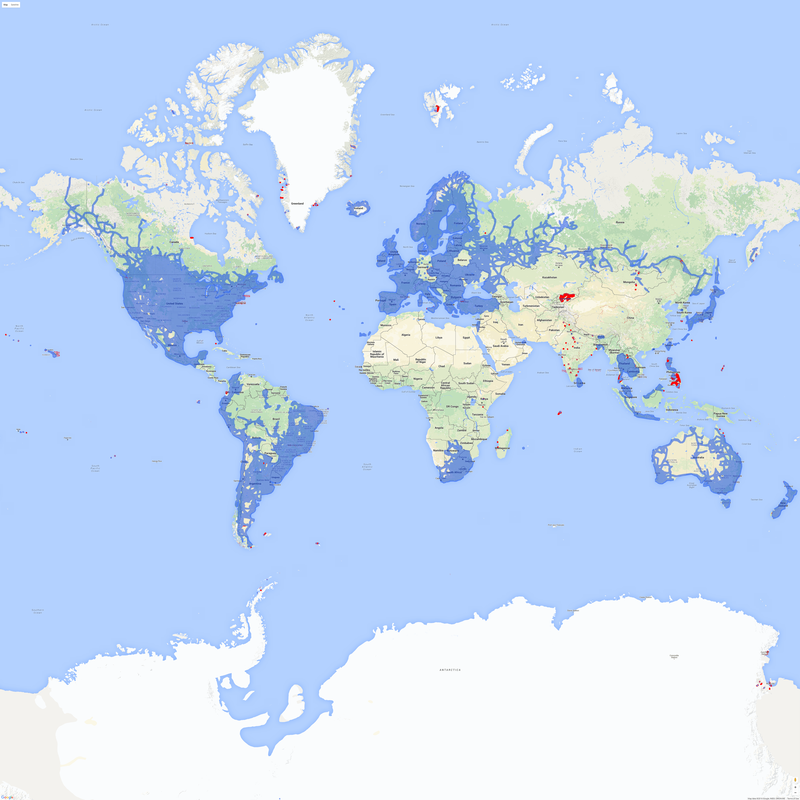 The last major Street View addition was Sri Lanka in late March so the map below shows the additions since then. Street View additions in red, previously existing Street View in blue. Large version. The lake Issyk Kul is the tenth largest lake in the world by volume. See in Street View. Do you prefer your tandem bike inline or parallel? See in Street View. If you look carefully you will notice both the snow and the trees cling to one face of each ridge while the other face is bare. See in Street View. Awesome landscapes, especially the mountains!